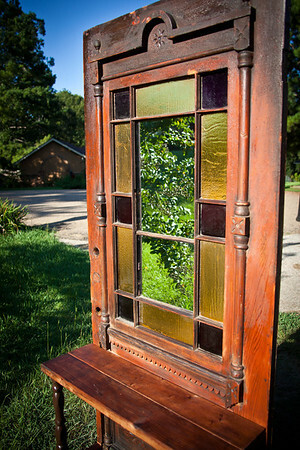 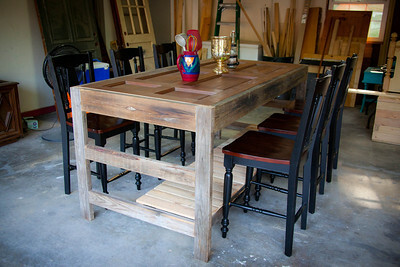 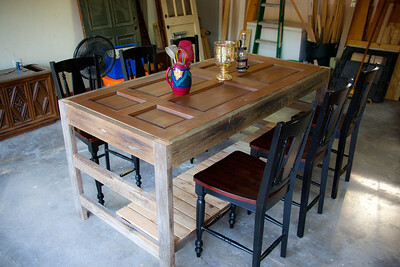 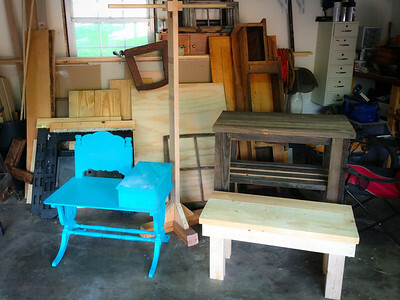 Building farmhouse and "Elegantly Distressed" furniture is another hobby of mine! 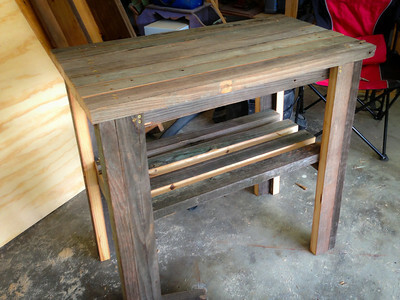 Fireplace cover made from old wooden pallets. 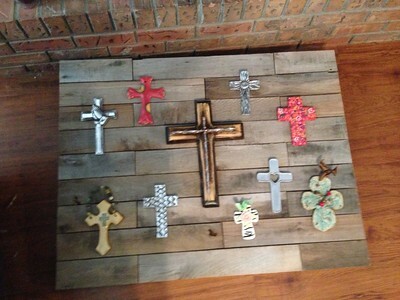 My wife has dozens of crosses she collects, so I took a few of them and connected them to the cover using thin wire. 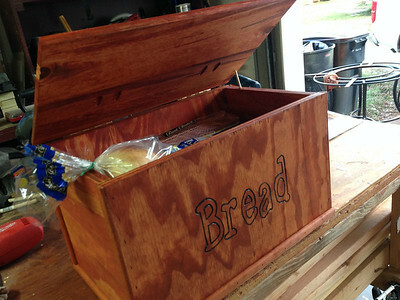 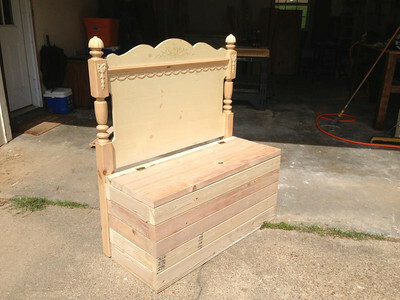 A toybox made for a princess. 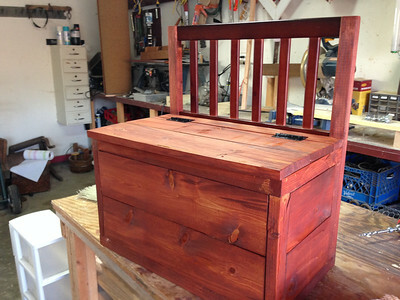 Handmade one of a kind pine chest. 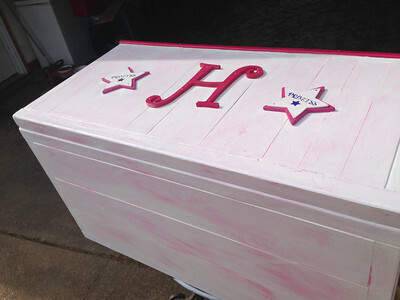 White base coat with pink glaze and pink accent pieces. 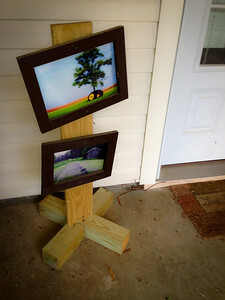 Outdoor photo display. 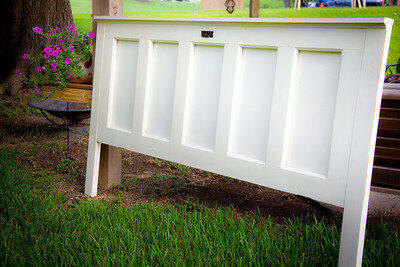 Post your favorite photos as people come into your house with this farmhouse style photo display. 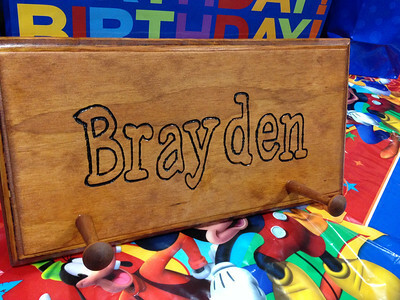 Misc wood crafts! 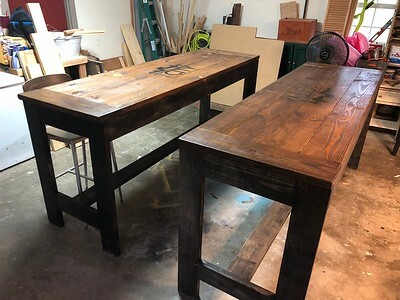 A hall or bathroom table made from an old coffee table, a farmhouse style bench, a free standing wood clothes hanger (perfect for college dorms), and a farmhouse style outdoor potting table. 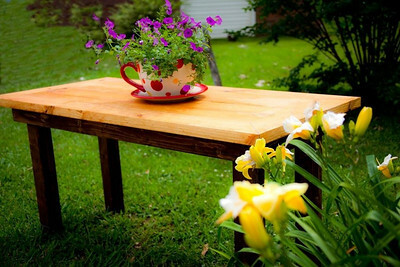 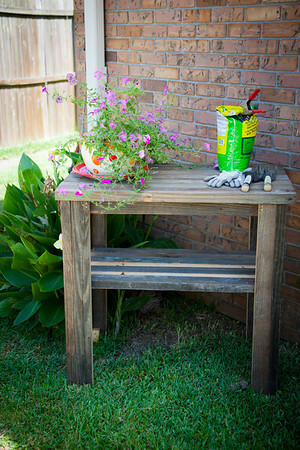 Outdoor potting table! 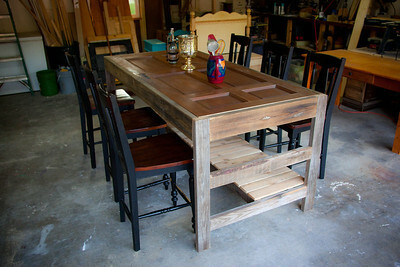 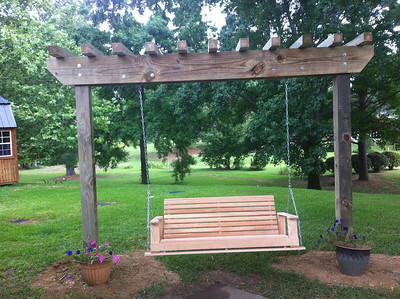 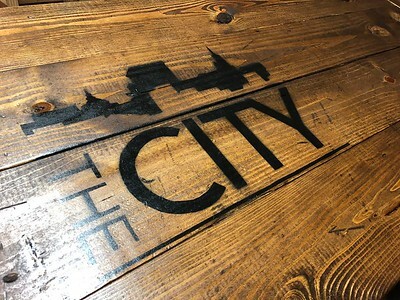 Made from reclaimed barn wood. 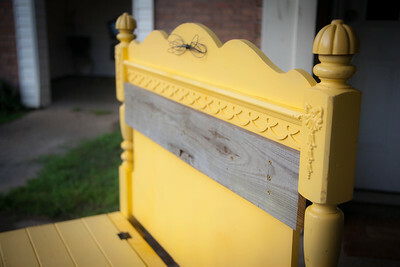 King size headboard made from a 40 year old five panel door. 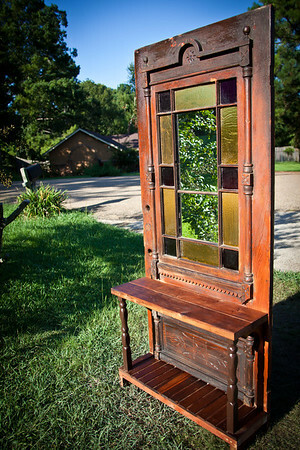 Painted with an antique white finish, and very lightly glazed with a mocha color stain. 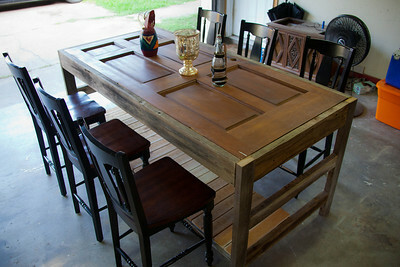 I took one of the old hinges and made an accent piece for the center. 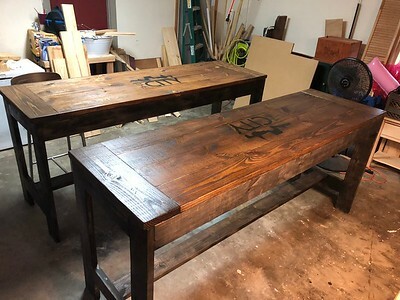 Very simple project. 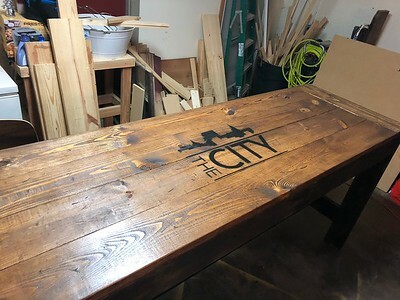 Took what were basically scrap pieces of plywood (16x10 inches) and routed the edge, then drilled two 1/2" holes for the pegs (bought off eBay, put some wood glue on the pegs and stuck them in the hole) and then woodburned the name, and stained the whole thing. 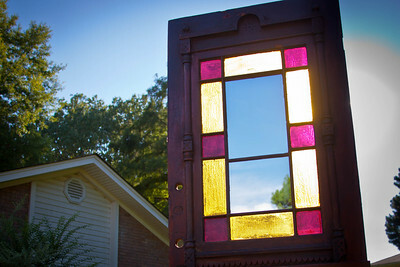 Added some simple wall hanging hardware on the back. 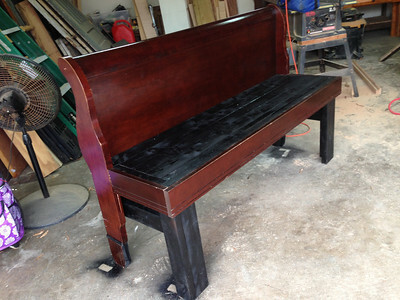 Made from a headboard and I took the old bed rails and used them for trim pieces around the bench. 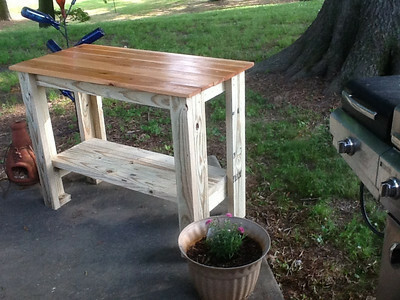 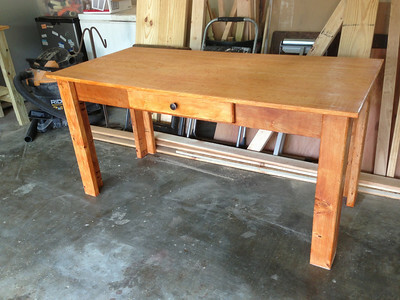 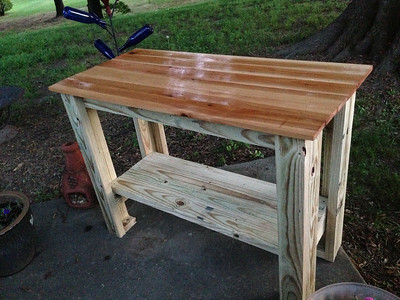 Potting table made from old barn lumber. 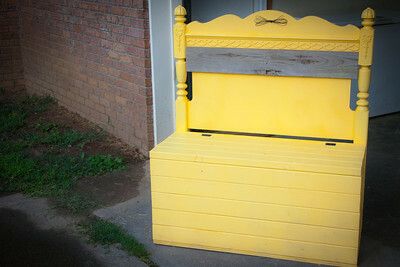 Handmade chest made from and old twin size headboard. 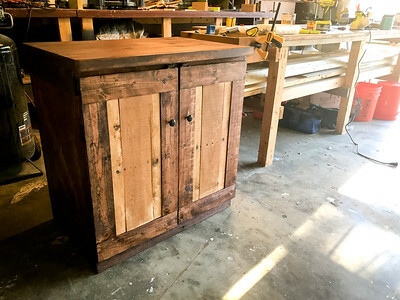 Chest made from pine. 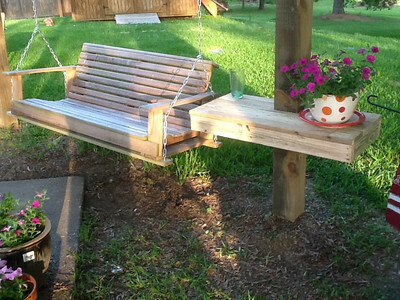 Driftwood board accent piece with a handmade ribbon made from wire. 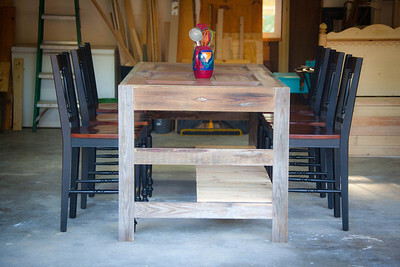 Black hardware pieces and a smooth honey sun paint finish off the piece. 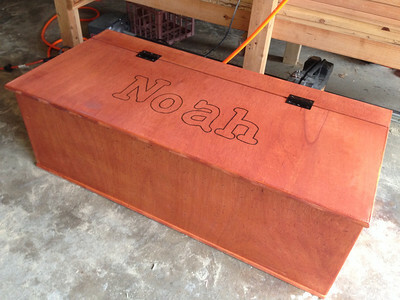 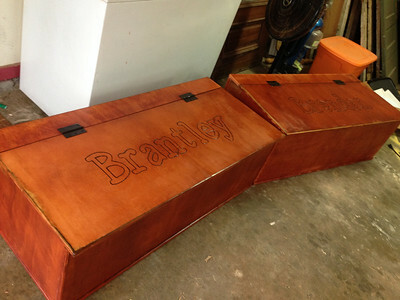 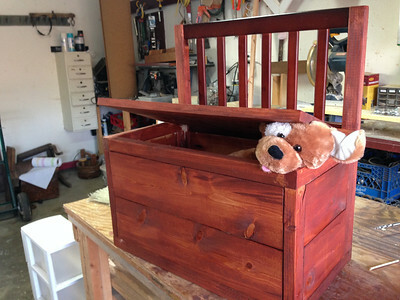 Deep toy chest made from an old twin headboard! 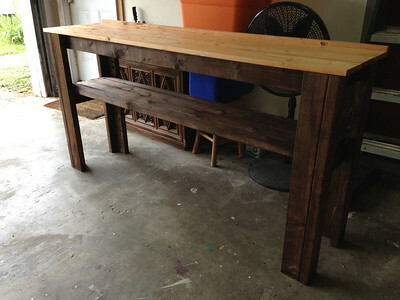 6 foot long island table! 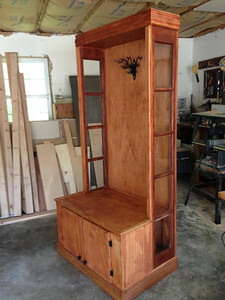 36" tall. 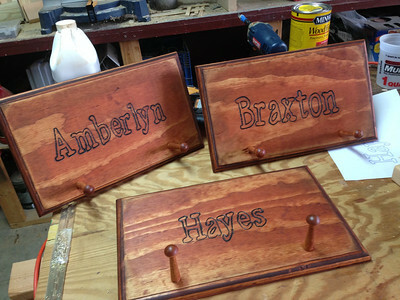 Two tone stain with medium brown wood base and a golden pecan stained top. 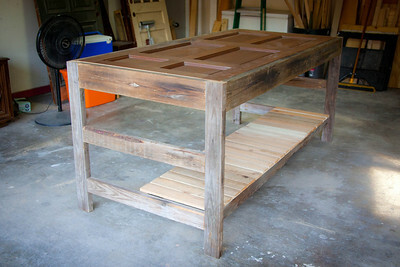 Has a secondary shelf underneath for pots and pans or other storage!